Today Adobe announced the availability of a public beta for the next version of their flagship image editing software, Photoshop. You can download the free Photoshop CS6 beta directly from adobe labs. The beta is available both for Windows (1.7GB zip file) and Mac (984MB disk image file). Photoshop CS6 contains a host of new and improved features. A new version of Adobe Camera Raw (version 7), a new and improved look and interface (darker grey), much improved and expanded video editing capabilities (and you'll love this: these will be present in the standard edition too, not only in extended! ), improvements to content-aware fill related tools, all new content-aware patch and move tools, etc. 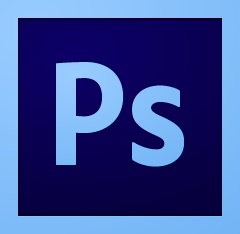 The Photoshop CS6 beta is compatible with Mac OS 10.6.8 or later, and Windows XP SP3 or Windows 7 SP1. Update (24/03/2012): Windows Vista is indeed not officially supported! Please note that the beta contains the full functionality of Photoshop CS6 Extended. While this allows you to play with the Extended-only features such as 3D image editing and quantitative image analysis, the final shipping Standard Edition will not contain these capabilities! New look – Photoshop is now darker and follows the more “modern” look of e.g., Lightroom and Photoshop Elements. If you like you can still choose the the old look or even two other levels of grey. Preset migration – Yes! Finally CS6 allows for the (automatic) migration of presets from previous versions of Photoshop. Adobe Mercury Graphics Engine – Performance improvements by making (more) use the GPU (graphics processing unit). Speed improvements will leikely depend on your GPU's specifications, and some GPU-enabled features are not supported on Windows XP. Adobe Camera Raw 7 – Incorporation of most (all) of the changes and improvements currently present in Adobe Photoshop Lightroom 4. Improved and redesigned tone controls, better shadow and highlight recovery, additional local editing brushes for white balance, noise reduction, and moiré removal (especially useful when you have a camera without an Anti Alias filter, e.g., the D800E). Background save and auto recovery – (finally) you can save your large, multi-layered images in the background while continuing to work on another. New is also Photoshop's ability to save auto-recovery information while you work. Video editing – Photoshop's video editing capabilities have not only been greatly enhanced and expanded, you'll also love the fact that now both the extended and the standard version of Photoshop incorporate them (previously video editing was only present in the more expensive extended edition). Content Aware – CS5 gave us Content Aware fill, CS6 extends and improves this further and now also includes Content-Aware Patch and Move. Blur Gallery – A tool for artificially creating lens blur, tilt-shift blur, and other blur effects. Crop tool – The crop tool has been much improved, especially in the area of rotating and straightening. Graphic design – Several improvements in this area, including the ability to add dashed lines and gradient strokes. 3D – A number of new 3D editing features have been added to Photoshop CS6 Extended (only). >60 “Just Do Its” – A number of smaller feature enhancements and other improvements (many of which originate from user requests). Have a look at the Adobe Photoshop YouTube Channel for Russell Brown's 6 favourite new features or some of the other informative videos.